When people think of Eucalyptus Essential Oil, Eucalyptus globulus is usually what they have in mind. This is one of the specific types of Eucalyptus Essential Oil that’s been used in many drug-store products. 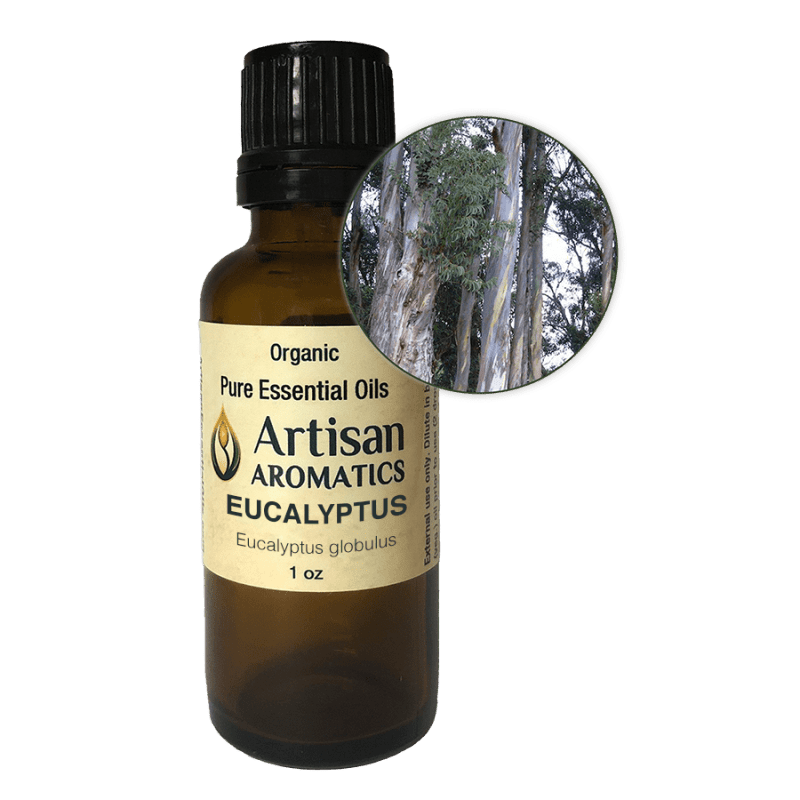 Our exceptional Eucalyptus globulus Essential Oil is distilled from the fresh leaves of trees grown in Australia, where preparations of Eucalyptus have a long history of use. In addition, we offer 6 more types of Eucalyptus Essential Oil. 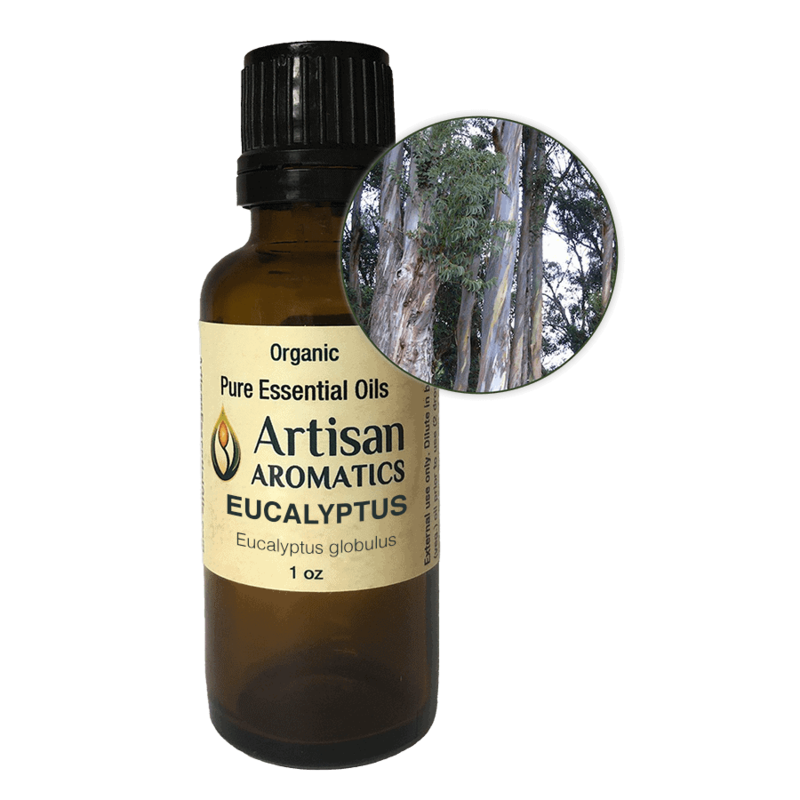 The Blue Gum tree, from which Eucalyptus globulus Essential Oil is distilled, ranks among the tallest trees in the world. Also known as the Gum Tree or Stringy Bark, this evergreen giant has been known to reach over 300 feet in height. 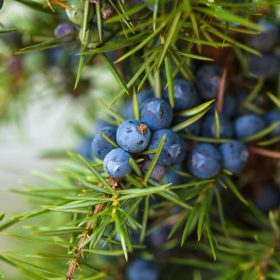 Originally native to Australia and Tasmania, it is now grown on most continents as a source of essential oil, sturdy lumber, and ornamental beauty. Note: All information on this page, above and below, is provided for educational interest only. Nothing here is intended to make claims for our product “Eucalyptus globulus Essential Oil”. Your experiences with an essential oil may differ from any one else’s experiences. No information provided here is intended to be used for the diagnosis or treatment of any physical or mental illness. Please pay attention to the safety information provided below in order to insure that your experiences with this product are good ones. This thin, clear to pale yellow essential oil has a distinctive, camphoraceous odor that is sharp and fresh and somewhat medicinal. Aromatically, it may overpower floral aromas but blends well with essential oils such as lemon, thyme, rosemary, lavender, pine and other conifers. Eucalyptus globulus Essential Oil is probably most well known for its reputed benefits for respiratory applications and has been said by aromatherapists to help with congestion colds, and flu. 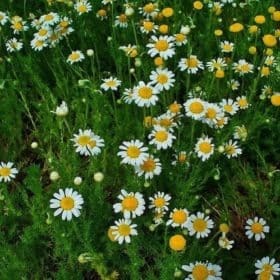 It’s also been used in massage blends due to claims that it can help to ease muscular pain and arthritis. 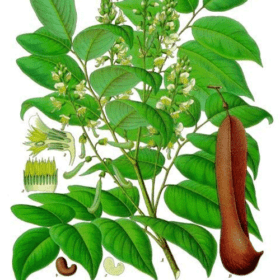 Eucalyptus globulus Essential Oil consists primarily of the oxide 1,8 cineole (also known as eucalyptol or just cineole). This cineole content is what is mainly responsible for giving Eucalyptus globulus its strong aroma and claimed therapeutic benefits. In our experience, Eucalyptus globulus Essential Oil has robust effects and because we have found it to produce the desired results when used in small amounts, we recommend using it sparingly. This will avoid waste and you’ll also be less likely to find it excessively drying if used this way (see below). Eucalyptus globulus Essential oil can be used as a “single” or in blends, but we especially like to use it in blends. For use in steam inhalations or pocket inhalers, it blends well with True Lavender, Thyme linalool, Tea Tree and Lemon essential oils, for example. As a single or in a blend, this essential oil is a classic choice for traditional steam inhalations; studies have shown that inhalations are most effective when only one drop of essential oil ( or one drop of a blend) is added to a bowl of steaming water and then the steam is inhaled; repeating this several times has been shown to be preferable to inhaling a greater number of drops all at one time. Up to 3 drops of this essential oil can also be added to the pad of a fan diffuser; that’s really all you need in most cases of everyday use. We don’t recommend diffusing large amounts in nebulizing diffusers in the home or, especially, the office. Alternatively, during the winter cold and flu season, you may enjoy placing a drop or two on the pad of an aroma locket or in a pocket inhaler to take when you go out (be sure the locket does not allow the undiluted essential oil to touch your skin.) When using this essential oil in public spaces, you should be aware that not everyone likes the somewhat medicinal aroma. For topical application, you can add one or two drops of Eucalyptus globulus Essential Oil to a teaspoon or two of vegetable oil or jojoba and rub onto the chest area or onto painful joints or sore muscles. To use in a warm bath, dilute up to 4 drops in a tablespoon of vegetable oil, jojoba, or Castile Soap and gently stir into the water. Do not let the oil-infused bath water get in your eyes; if you have used vegetable oil or jojoba be careful – the tub will be slippery. 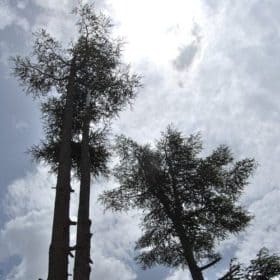 Be aware that Eucalyptus globulus Essential Oil can have a strong drying effect and this can be aggravating in conditions where the respiratory tissues already feel dry, as they may do in some instances of bronchitis, for example. 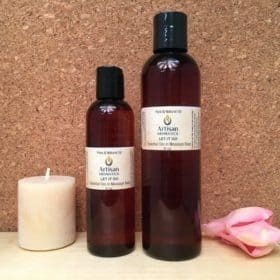 Used in a bath, it can also dry the skin, including the delicate tissues of the genital region and for this reason it may not be the best bath choice for those with dry skin or for peri- and post-menopausal women or other women experiencing vaginal dryness. See below for precautions to follow when using this essential oil in the vicinity of children. SAFETY ISSUES: Diluted properly, Eucalyptus globulus essential oil is generally non-toxic and non-irritant in small amounts. It should only be used externally; do not take internally. This essential oil is not appropriate for use by untrained persons with or around babies or young children. You should not use Eucalyptus globulus Essential Oil on or around the faces of children under 10 years of age. 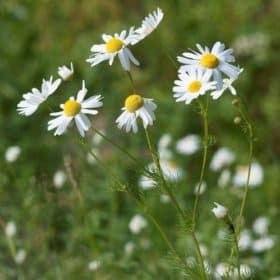 This essential oil is best avoided in cases of asthma, except under the guidance of a qualified health care professional. 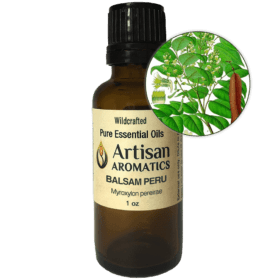 Use this essential oil sparingly – it has strong actions. This essential oil should not be used on or near the faces of babies or children under 10 years of age.